SPITTING IMAGE: Impersonator Tony Lewis as comedy legend Jerry Lewis. 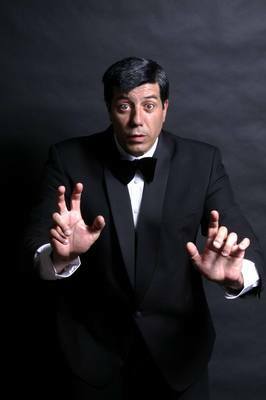 ‘King of Comedy’ Jerry Lewis comes back to life at Club Italia on Saturday. Impersonator Tony Lewis will visit the club after touring Australia and the world for decades as the legendary comedian. Lewis’s journey to become an impersonator began early. “I’ve been doing impressions since I was about five or six,“ he said. At age 17 Lewis entered the stand-up circuit and soon after he was doing voiceovers for radio commercials. An agent approached him after he started working in comedy and suggested impersonating Jerry Lewis. “I thought OK I’ll give it a shot and it just worked,“ he said. His uncanny resemblance to Jerry Lewis only strengthened the illusion, he said. Lewis has met his world-famous namesake three times and was the only impersonator to feature in 2016 documentary The Man Behind the Clown, about the comedy legend before his death. “He was proud that I did him correctly. I do my own material but use his voice and mannerisms,“ Lewis said. Lewis’s abilities and resemblance to his hero have seen him perform on TV programs like The Bert Newton Show and on stage in Las Vegas. His Club Italia will also features whacky characters like the Nutty Professor. Lewis has also performed for Opera Australia and impersonated Get Smart’s Don Adams, Rocky Balboa, Eddie Murphy, Elvis and Arnold Schwarzenegger in radio commercials. He travels in and out of the USA touring as Jerry Lewis, and is known worldwide as the star’s quintessential tribute artist. Lewis has raised money and headlined many shows for children with Leukaemia, MS, Autism and disabilties. Comedians Frank Lotito and Gabriel Rossi will join him as special guest performers for Saturday’s show.